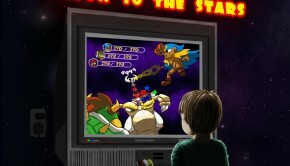 Great game music not only ages well, but evolves over time. The best soundtracks are so adaptable and enduring that they inspire fresh interpretations, and this is a testament to their staying power as classics. At less than a year old, Andrew Aversa’s Tangledeep Original Soundtrack is a bit young to be considered a classic – though it certainly sounds like one. Thanks to a compositional style and synth arrangement evocative of Super Nintendo JRPG soundtracks – many of which, now decades old, remain a gold standard for video game music writing – listeners would be forgiven for mistaking Tangledeep for a relic from VGM’s past. 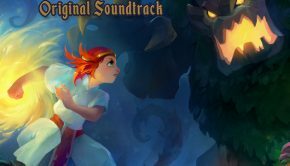 So perhaps it’s no surprise that some twenty artists were so eager to arrange Andrew Aversa’s soundtrack, releasing Tangledeep ~Arrange~ no more than three months after the original album debuted. Ditching the SNES-style soundfont restrictions, these artists have put together a diverse and higher fidelity collection of tracks in tribute to Tangledeep. Yet can this collection recapture of the magic of its source? The most apparent benefit that Tangledeep ~Arrange~ provides is a notable bump in sound quality. While Andrew Aversa made intentional and impressive use of general MIDI sound libraries on the original soundtrack, it’s hard to deny the appeal in hearing a lo-fi favorite in HD. A handful of these covers are enchanting simply because of how faithfully they revitalize their source material. Hearing “Riverstone Reprieve (Town Theme)” brought to orchestral life in Dale North’s “Riverstone Serenade (Town)” is an absolute treat. The same could be said for Chimpazilla’s “Secret Garden (Tutorial Dungeon)”, which reconstructs Aversa’s tutorial area theme with lush orchestration and a groovy beat, and for “In the Heart of Home (Medley)” by timaeus222, which rearranges the same tutorial theme with its own unique electro-orchestral hybrid sound. The dungeon themes from Tangledeep are especially well treated. Despite the roughness of the strings in the mix, the third dungeon theme is made all the more mystical in TeraCMusic’s “Harmonies of Time”, thanks to the solemn vocals on the main melody. Likewise, PRYZM and Doug Perry take “Lost Relics of the Ancients” to its emotional extremes in “Dreams of the Deep”, with heavy percussion, piano and elegant string writing reminiscent of Final Fantasy X’s “Servants of the Mountain”. Yet faithful adaptations are the minority of what the album has to offer. 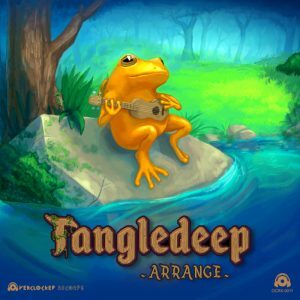 Tangledeep ~Arrange~ benefits not only from the strength of its sound, but from the sheer variety of styles through which Aversa’s music is rendered. A surprising number of these renditions are built for the dance floor. DaMonz takes Tangledeep’s training theme converts it into an upbeat dance track in “Prepare to Learn”, with bubbly synth solos and a surprisingly effective reprise of the original’s staccato chord section. 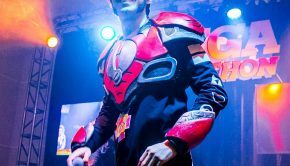 bLiNd’s “Bird Boyz Bounce” remix reimagines the first villain theme from Tangledeep as a fuzzy electronic jig with a hard beat. “Bollywood Nights”, Chimpazilla’s second contribution to the album, packs especially infections rhythms thanks to some catchy vocal effects. Capping off the night out is Flexstyle’s take on the final boss theme, “Saga Progressive”, a dance track as epic as its original soundtrack counterpart. Elsewhere, contributions range in genre from jazz to rock. With respect to the former, Taylor Ambrosio Wood’s “Dungeon V but It’s Jazz” lives up to its namesake, repainting the mysterious fifth dungeon theme with upright bass, piano, soft drumming, shakers, and warbling vibraphone. 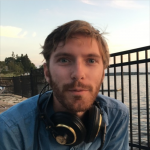 Doug Perry’s “To Undiscovered Lands” takes Tangledeep’s end credits track in a smooth jazz direction, with a plentiful helping of soaring synth solos. On the rock side of the album, Nutritious and OceansAndrew give listeners a wailing ode to the second dungeon theme in “Shadowstep”. Similarly, norg converts the second boss theme into a metal track with a surprisingly pristine bridge in “Metal Guardian.” Yet the most energetic of these rock covers comes in the form of WillRock’s “A Beakful of Beatdown (Boss 1)”, with the high octane electricity and grunge that one might expect from an F-Zero track. This only scratches the surface of Tangledeep ~Arrange~’s versatility. For example, Joe Zieja’s “Groove Theme” calmly retrofits the “Riverstone Grove” tune with guitar, banjo, clarinet, and a peppy whistling solo before kicking the tempo into overdrive. “SFC Retro”, by Joshua Morse, grants the third dungeon theme a second bite at the apple – a silky smooth, funky apple at that. The shop theme gets skilled chiptune treatment from Tuberz McGee in “Wait a Minute, We’re Supposed to Haggle?” At the album’s close lies “Valse de Title”, a frolicsome piano waltz by Dhsu to the tune of Tangledeep’s opening theme. Some styles represented on the album are a bit harder to quantify. Listeners might have Mazedude’s “Tanglesleep” pegged for another chiptune cover at first blush. Instead, the track blooms into diverse electronic soundscape, with colorful arpeggios forming sparkling textures. Then there’s “callq ___td_Int32__dun_” by Jonathan Peros – an experimental electronic track so minimal and dark that it almost obscures the fleeting traces of the first dungeon theme, calling out through the reverb. Curiously, Nicole Adams’ and Ty Guenley’s take on that very dungeon theme – “Into the Mystic” – gets just as far without putting the iconic melody front and center. Rather, the track is filled with rushing beats, guitar riffs, and swelling synth pad waves, culminating in a sound both bright and invigorating. Although this cover may not boast the compositional breadth of its source, “Into the Mystic” shares the honor of being the standout highlight of its respective album. Where the original Tangledeep was a smooth ride from start to finish, Tangledeep ~Arrange~ encompasses such disparate styles that cohesion is beside the point. The tradeoff, however, is worth the disparity. Each track takes one of Andrew Aversa’s already wonderful compositions in an interesting new direction, and the varied palette means this album has something for everyone to enjoy. Only time will tell whether or not Tangledeep becomes a classic. Yet the artists behind Tangledeep ~Arrange~ clearly treated it like one. That’s a promising start. Posted on January 22, 2019 by Reilly Farrell. Last modified on January 22, 2019.